My daughter had an assignment to write an essay using imagery for her 7th grade English class. She rocked my world with it! Gleason’s Boxing Gym is a place in Dumbo that many people go to. When you hear about Gleason’s, what you may picture is a nice clean gym with the best equipment in the world. However, once you go all that you really see is sticky duct tape holding the heavy bags together, and dirt that is probably two years old. When you walk into Gleason’s, what you see are boxers that are young or old, the heavy bag swishing back and forth. People are skipping and sliding trying to dodge the fast perfect jabs from their sparing partners. I hear the speed bag that sounds like a helicopter, the encouraging loud criticism from the trainers. In Gleason’s Boxing Gym all I can smell and taste is the stench and sweat that comes from lots of hard work. However, as soon as I start to train I can feel the cotton of my hand wraps, the linen covering the ropes. I can feel the pads that I hit, the concrete when I try to strengthen my hands. I can feel the leather speed bag hitting my hands and then coming back, as if asking for more. In conclusion, I think and believe that Gleason’s Boxing Gym, home to many pro-fighters, is an amazing place filled with imagery. At Gleason’s everything that happens sets your mind into a frenzy of images that will come back when you think about the moments that you have had at Gleason’s Boxing Gym. Anne Sophie Mathis knocked out Holly Holm in a stunning victory last night at 1:38 in the seventh round. Photographer Chris Cozzone described it as a “big right”! More here. Plus GREAT shots of the fight by Photographer Chris Cozzone here. The World Dominance fight card is finally here! Let the boxing begin! 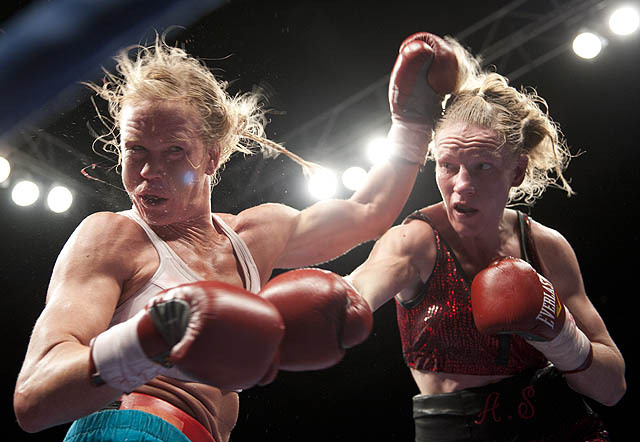 In their much anticipated main event bout, Holly “The Preacher’s Daughter” Holm (30-1-3, 9-KOs) will face France’s knock-out queen Anne Sophie Mathis (25-1, 21-KOs) as they battle for the IBF Welterweight and WBAN Championship belts. 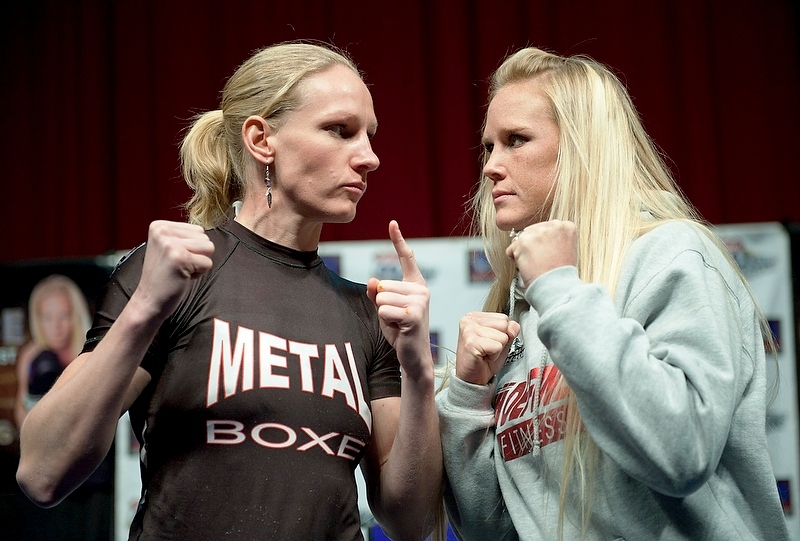 Both fighters weighed in “lean and mean”: Holly Holm @ 145.6 lbs. and Anne Sophie Mathis @145.4 lbs. 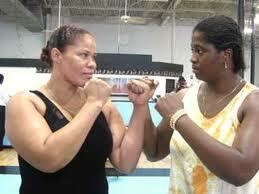 On the undercard female flyweights will also do battle. Brandi “Baby Doll” Montoya (0-2) weighed in at 111 lbs. and her opponent Tonia “TNT” Cravens (2-6-2, 2-KOs) weighed in at 111.8 lbs. The card is promoted by Fresquez Productions and will be held at the Route 66 Casino Hotel in Albuquerque, NM. Doors will open at 5 PM/MT with the first bout slated to begin at 7:00 PM/MT. If any one else knows of any, please add to the comments! Golden Girl Promotions women’s fight night in Georgia on 12/3/11! This coming Saturday night, December 3rd, Ijeoma “The Praise” Egbunine and her Golden Girl Promotions will feature a night of boxing with count em’, three women’s bouts at the Mableton Banquet Hall, 6114 Mableton Pkwy., in Cobb County Georgia. The main event of the evening will be a ten round WIBC welterweight championship title bout between Lisa Garland (7-5, 4-KOs) and Sara Kuhn (3-2-1, KO-1). On the undercard of the card, Jackie Breitenstein (6-1, 5-KO) the Georgia Female Fighter of the Year will be fighting Kerri Hill (3-21-1, 1-KO). Welterweights Karie Contraras (1-0, 1-KO) and Lacey Crawford (1-2 ) will round out the evenings events. Weigh-in for the event will take place on Friday, December 2 at Ijeoma Egbunine’s Team Praise Gym in Austell, Ga, west of Atlanta. Ijeoma (17-2, 10-KOs) is also hard at work training for her upcoming December 26 rematch against Gwendolyn O’Neil (18-7-1, 7-KOs). The match will take place in Ijeoma’s home country of Nigeria for the vacant WBC heavyweight title, and the WIBA and CODA titles. 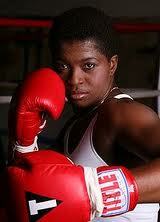 Ijeoma plans to promote another all women’s card in late February or early March 2012!